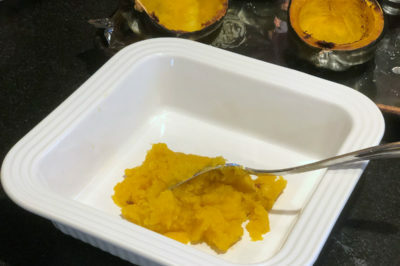 I have to admit, pumpkin is one of my very favorites of all foods to make into baby food! It’s relatively easy to do and the puree you end up with can be utilized for many, many types of dishes and desserts. Whenever you want to cook pumpkin, please be sure you buy a Sugar Pumpkin. Sugar pumpkins are also called baking pumpkins. On average, they weigh 2 to 4 pounds (907 g to 1.8 kg) and are much smaller than “jack-o’-lantern” pumpkins. Sugar pumpkins tend to be less fibrous and stringy and make a really great puree for a variety of dishes and recipes. Pumpkins contain a large amount of vitamin A and so they are one of the veggies that if eaten too often, can give a baby’s skin an orange colored glow. This condition has a name and its Carotenemia. The color change in the skin is due to increased beta-carotene levels in the blood. 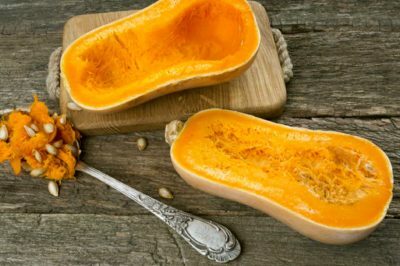 Other carotene-rich foods includes carrots, other winter squash, and sweet potatoes. ♥ Don’t throw out the seeds. Save them and roast them. 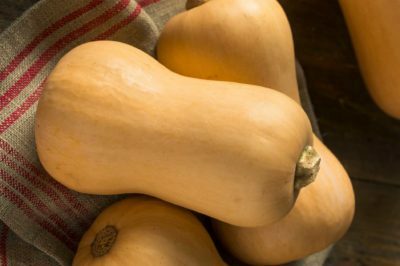 The seeds of winter squash are incredibly nutritious but not for children under the age of 8. Well, 8 is the age that I first felt comfortable letting my kids eat the seeds. Wash the pumpkins and cut off the stems. Cut in half and remove the seeds. Peel the pumpkins. Roughly chop the pumpkin flesh and place in the slow cooker. Add 1 cup water. Cover and cook on low for 5 to 7 hours or on high for 2 to 3 hours, or until tender. Mash the pumpkin in the slow cooker. Remove the pumpkin and set aside to cool. Wash the pumpkins and cut off the stems. Place the pumpkin halves in the slow cooker skin side up. Add 2 cups water, or enough to cover the bottom of the slow cooker. Cover and cook on low for 5 to 7 hours or on high for 2 to 3 hours, or until tender. Remove the pumpkin halves from the slow cooker and set aside to cool. Once cooled, scrape out the pumpkin flesh and then mash or puree as needed. Pumpkin cooks down nicely in the slow cooker, so you may not have to puree it for your baby. If you do, place the pumpkin in a blender or food processor and process to a texture that is appropriate for your baby. Add water, formula, or breast milk as needed to create a thin puree for your beginning eater.